Do you remember the days when comics were fun? 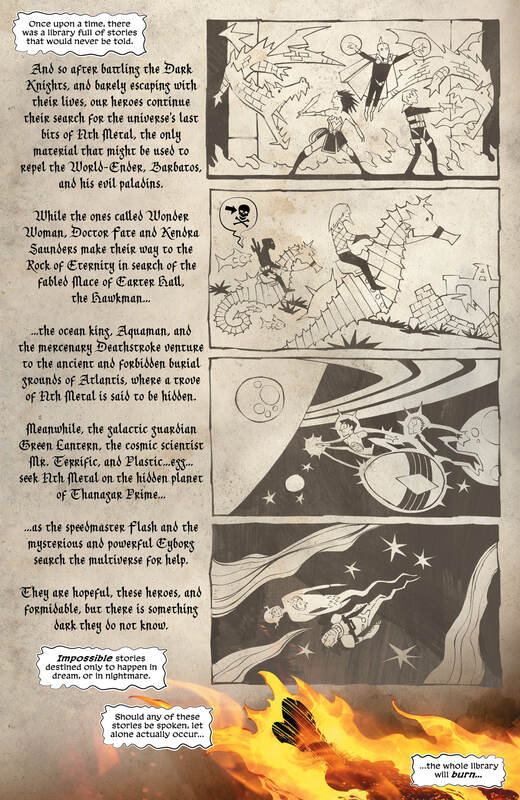 20 pages of cosmic battles; heroes, villains, explosions, and danger? When they weren't angst and misery, but it was all about entertainment? 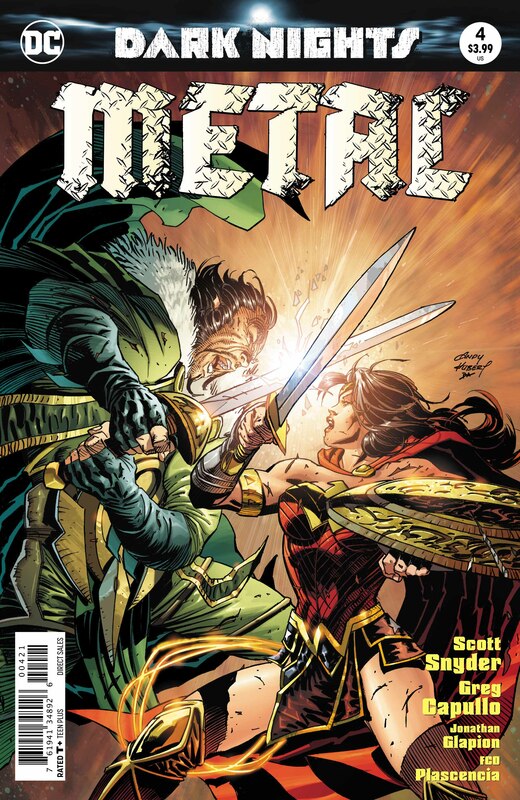 With this series, and with Dark Nights: Metal #4, those days are well and truly back. I’ve been loving this series, maybe more than many. I’m an insane comics die-hard, after all. I get nearly every reference, I know every character, and I get a giggle out of every in-joke… I’m lucky. But the beauty of this series is that, even if not everyone does have the same level of geektastic experience, there’s still so much to enjoy. Warning: Some minor spoilers await you. 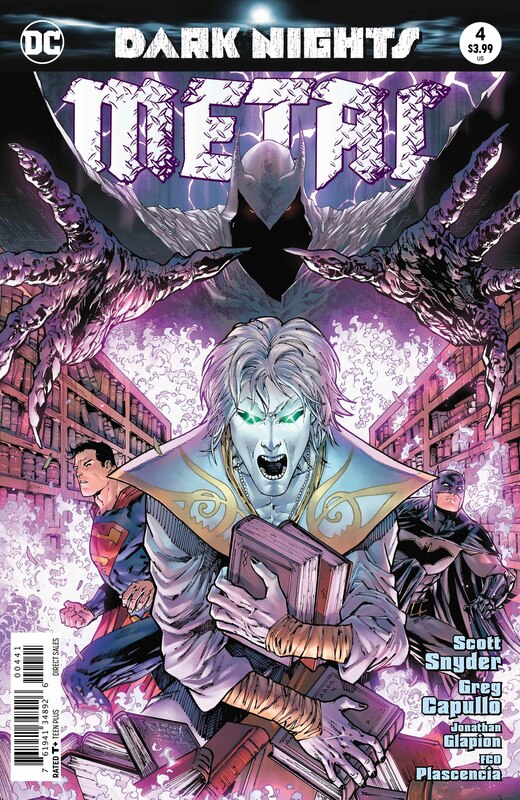 Scott Snyder’s script is tight, but the black humor is refreshing, the characters are real and the settings may be cosmic, but they’re emotional, and thought-provoking too. 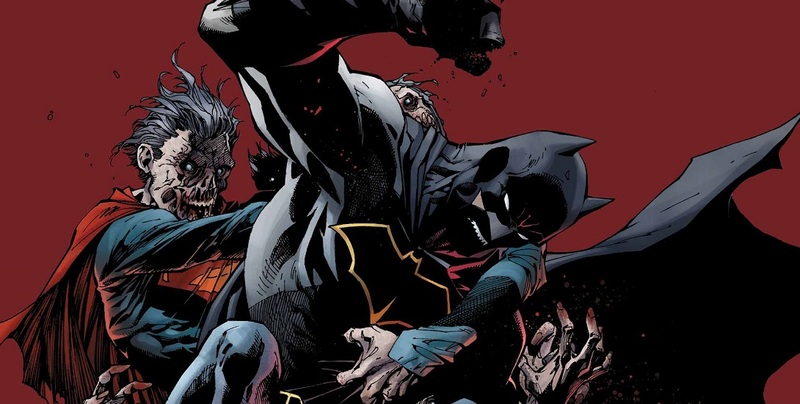 His handling of Batman has always been exemplary, but it’s when he gets his hands on multiple DC characters at once that his profound love of the entire DC Universe becomes so much more evident. 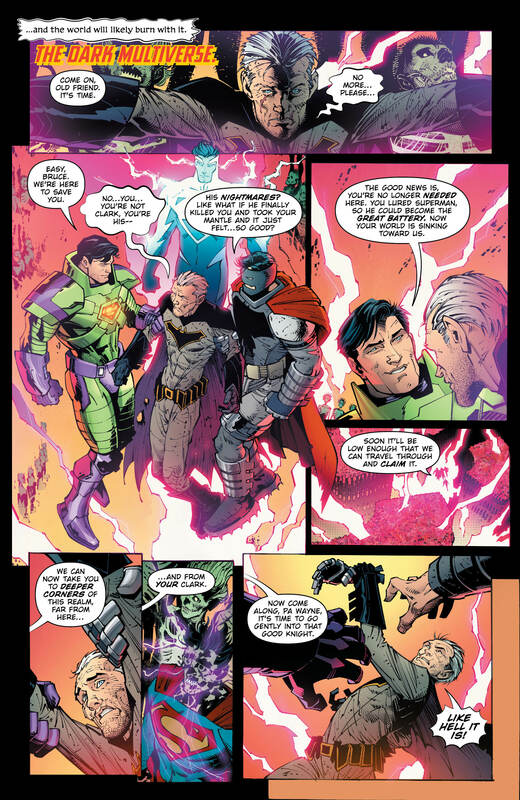 The dialogue between Batman and Superman in this issue is pure magic, and including Dream of The Endless makes this particular fanboy grin like the Joker on nitrous oxide. (Hmmm… The Clown Prince of Crime at the dentist. Now there’s a story). Batman: Clark, Batman for me… he was a Detective at heart. He was about finding answers, even when those answers were ugly, or terrifying. That’s what that light in the sky meant. It meant that it was time to cut through the fear and mystery and find answers. But down here… all I’ve seen is my mistakes, my failures. And for the first time… I don’t want to find anything else. Superman: That’s what it wants you to believe, Bruce. It’s a lie! You’ve been here for what feels like decades, I know, believe me. But you can’t let it fool you! You’re Batman, dammit. You give others hope. They see you and are filled with wonder about what they can achieve. Superman: There has to be something! One thing that fills you with wonder! One thing that can help us save our home, Bruce! Batman: My… My children. I look at them and I… feel such wonder. They’re better than I’ll ever be, aren’t they? Maybe I’m a failure, but… nothing I find down here will change how I feel about… my family. Superman: Good to have you back, old friend. Batman: Don’t get sappy on me, Kent. I’m Batman. Let’s do this thing. 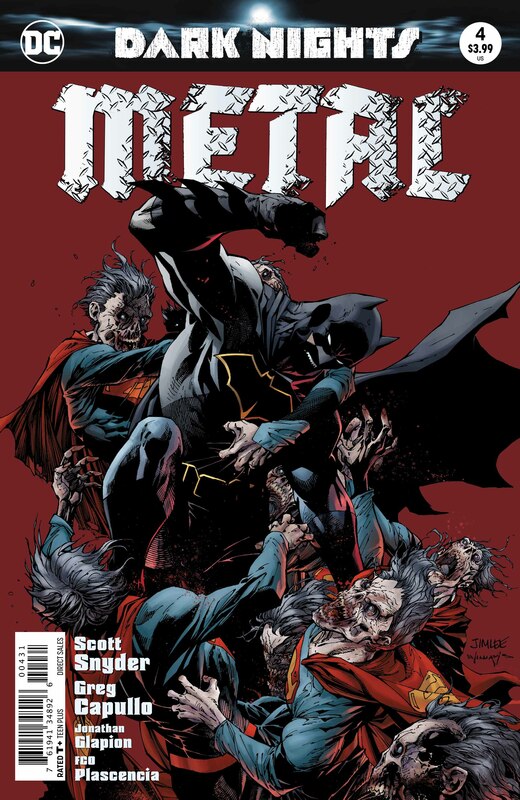 It’s amazing that I read Batman #36 and #37 after Metal #4. The World’s Finest Team may have been around for decades, but some of their World’s Finest moments are happening right now! Now, let’s talk art… shall we? Starting with the opening page – an ancient scroll, with fading etchings and classical calligraphy – this book is gorgeous. From the way it opens with the bottom corner ablaze, to the look of hope reigniting in Batman’s eyes. 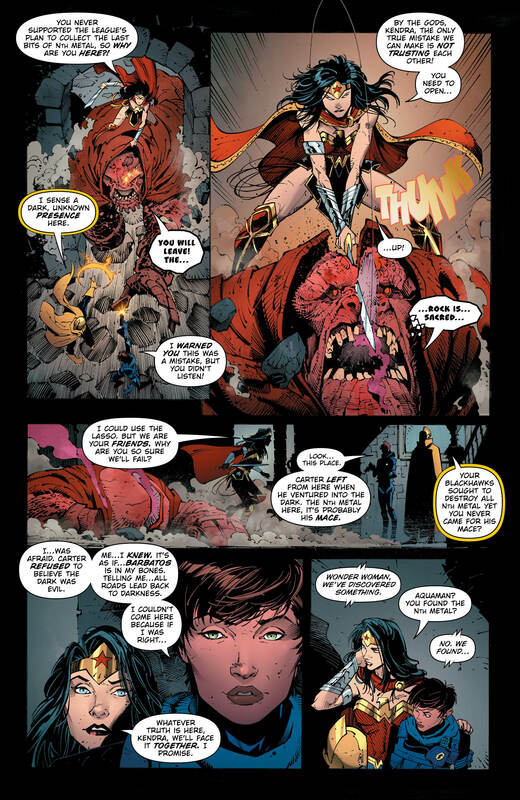 From Wonder Woman giving sin a splitting headache, to Bruce and Clark flying away through the pages of a book… the visuals are pure, comics excellence. There’s nothing I can say about Greg Capullo’s art that hasn’t already been said a million times before, by far greater experts than I could ever hope to be. There are painters, there are portrait artists, there are artists that dabble in many mediums. If you want to talk about artists that are genuine, brilliant comics artists, and which ones are the greatest, then Greg Capullo needs to be near the very top of that list. 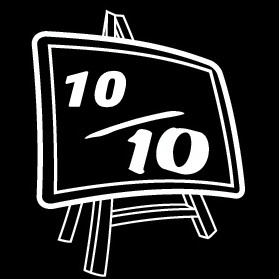 Jonathan Glapion’s inks are perfect, nuanced and so brilliantly enhance Greg’s work. Plascencia’s color art is absolutely top notch too. 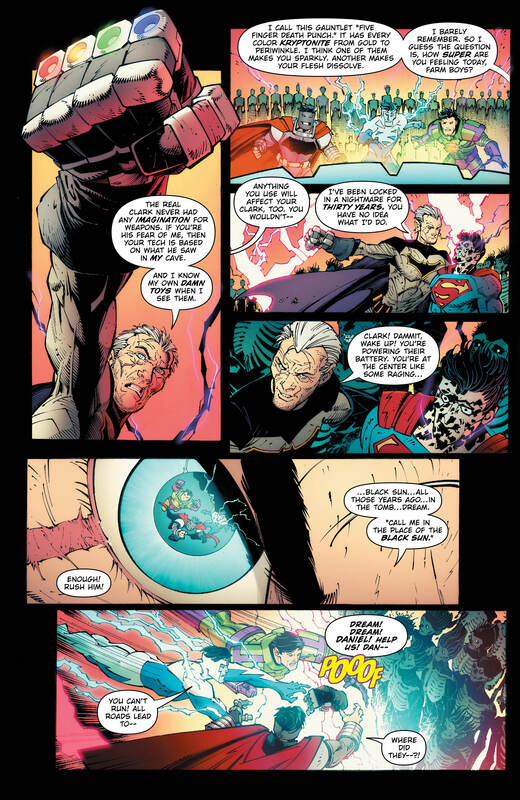 The aforementioned flames, the portal of light behind Bruce and Clark, and when they fly through it… beautiful. 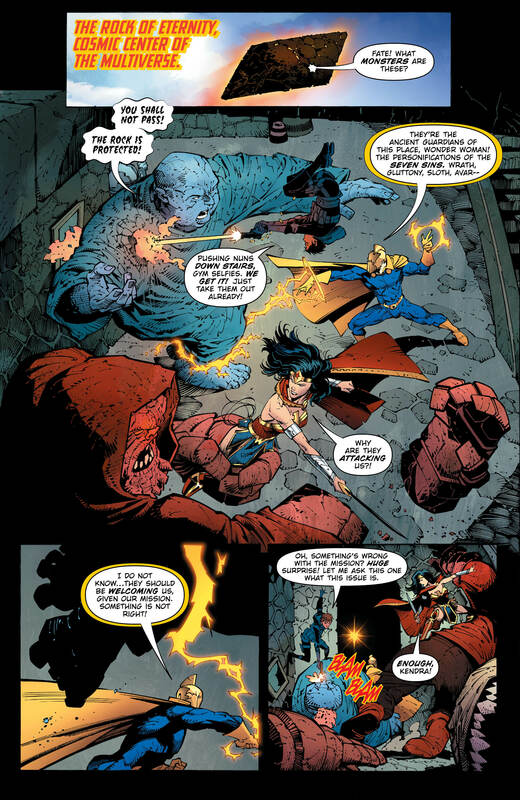 Honorable mention must also be made to letterer Steve “Magic” Wands for his great work on the book from Dream’s library, on Morpheus’ speech bubbles and all the “POOOFs” “BLAM BLAMs” and “THUNKs” that grace this issue. Thanks, Steve. Cool name, too. Comics events like Metal must be a nightmare to write, draw and co-ordinate. I must tip my hat to the fine creators of this book for making it easy to follow, exciting to be a part of and, most of all, fun to read. 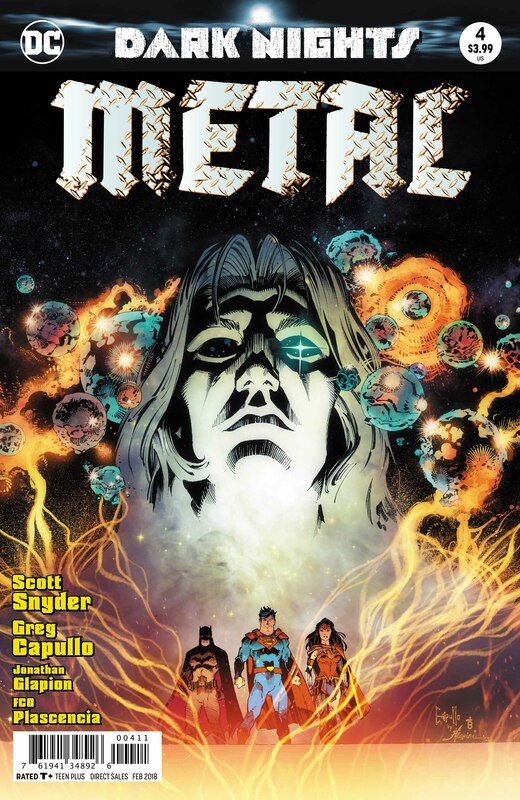 Metal #4 evoked the same kind of feelings in me that reading Jack Kirby’s “Fourth World” stories as a child did, and that seeing Star Wars on the big screen did back in ’77 (and again last week). It was an escape to another world, but to one where family is still the thing that fills the heroes with hope… and with wonder.